We currently live in Dubai, at sea level with no natural river bodies or oases, there are multiple gorges and waterholes at the base of the Western Al Hajar mountains. The annual rainfall is 35 millimetres Therefore ALL our water here is desalinated. With 70% of the World covered with water only 3% of it is classed as drinking water without needing to be processed. 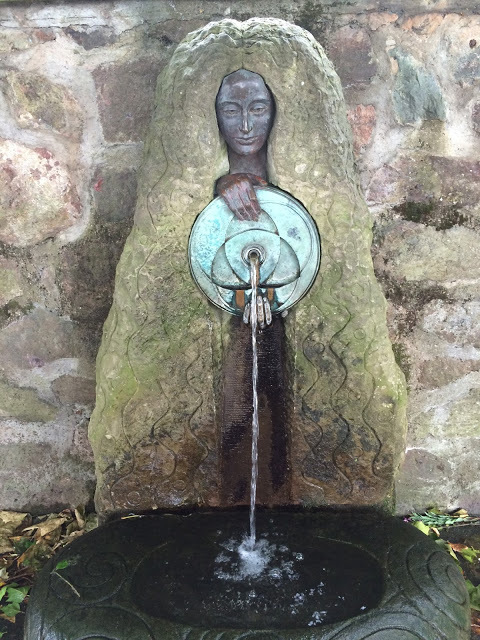 Prior to leaving the UK we lived in Malvern, home to natural spring water, that we used to collect in bottles to drink. 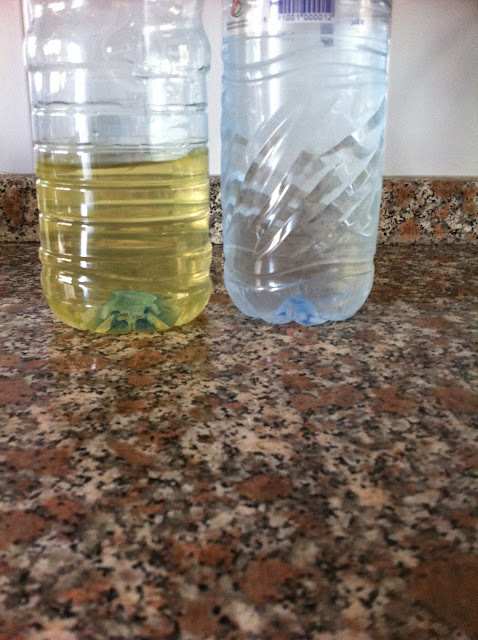 Sadly the spring water became infected with bacteria and now it is advised that this water also should be boiled before drinking. We've travelled far and wide and have always followed the advice for drinking local water, avoiding ice cubes and fruits with high water content such as melons and cucumbers. But we've never worried about bathing or cleaning our teeth. On a camping trip in Canada in 2015, we boiled the water from the lakes in Algonquin to drink, but not to brush our teeth. In Luxor last year we completely forgot about whether we should ask if the water was safe to drink and on family holidays to Turkey and Tunisia in the past decade, we spent the first few days telling the kids not to drink from the tap, but then we just gave up and no one got ill. The only times I've ever been ill due to poor hygiene was on a camping trip in 2000 when I contracted meningitis during a very wet and muddy April and from many visits to townships in South Africa where I was given food at facilities I visited and it would've been considered very rude to have turned it down, despite there being no water let alone refrigeration. Our only real problem we've ever had with water is the taste and the temperature. In Dubai in summer, the water was coming out the cold tap at over 40c, so we bought bottled water to use in a water cooler. We've moved house now, and our water tank is under the ground, rather than on the roof, but we're still using the bottled water for the kettle and cold drinks, why? because the tap water here tastes different, a bit woody. When I travel back to the UK I notice the tap water tastes different depending on what part of the country I'm visiting. The water from the tank on the roof or when it's not been used for a while does comes out the tap brown. 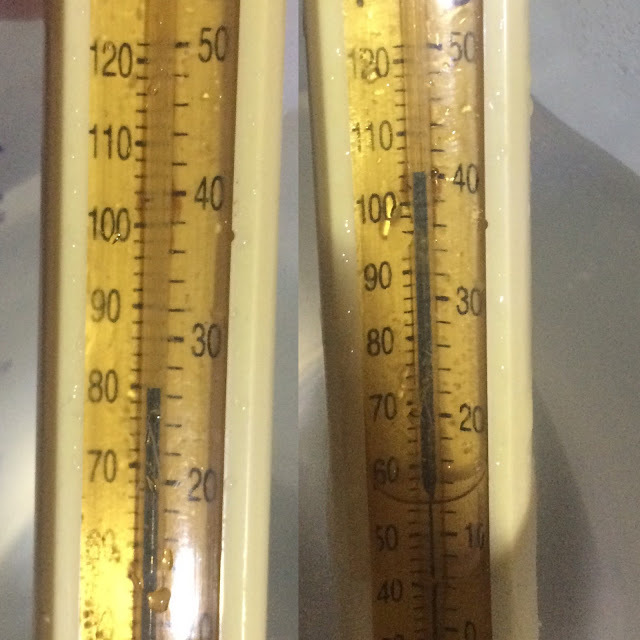 Water temp left from the hot water tank that is insulated and the temp on the right from the cold water tap in summer. We lived in South Africa for 4 years in Pretoria. Currently in Cape Town they are facing the water being switched off in April/May due to the fact that they will run out completely by then, due to lack of rainfall in that part of the country and currently residents are restricted to 49 litres per person per day. I have no idea how much water Peter and I use per day, we don't think about it, despite living in a desert, because we have such good infrastructure here. Many parts of South Africa go without water on a daily basis, having worked with children's charities in Gauteng and Bushbuckridge near Kruger National park, I've seen first hand how hard communities have struggled without access to water on a daily basis without relying on government water trucks delivering supplies to townships or people having to walk several miles a day to get fresh water. Families getting ill from drinking river water, not being able to keep themselves clean and washing clothes in rivers and streams often highly polluted. In a world where most of us take water for granted, I think it's time we thought a bit more about our natural resources and what we can all do to reduce the amount of water we use. It might seem a bit extreme in a developed country to think we'd ever run out of water but all one has to do is think about Cape Town being the first city in the world to face having it's water run out in 2018. One day last year I woke up to no running water as there were emergency works being done in the area. That soon taught me not to take water for granted! It's amazing that in the UK we take water for granted. Our water had to be switched off for a few hours, a few years back. It's amazing how suddenly, you really miss it. You can't just boil the tap when you want too, or give the house plants a drink. Suddenly, everything you never gave much thought about before... becomes a huge planned task. And that was just for a few hours! This is such an informative post - I had no idea about Cape Town! Thank you for sharing this with us at #TriumphantTales. I hope to see you back next week! It's an important issue and one I think that needs more publicity! Thanks for linkin gup with #BestBootForward as always.